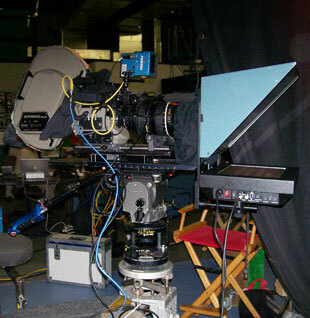 The QTV FDP-11 prompter head uses an 11-inch color, active matrix LCD. It operates at 1200 NITS of brightness so it can be seen outside. Its compact size makes it deal for cramped quarters. 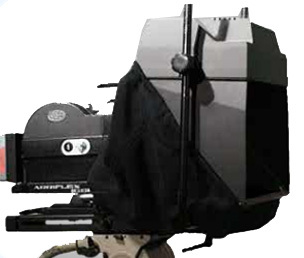 At just twelve pounds, this system can be used with most portable video or film cameras. 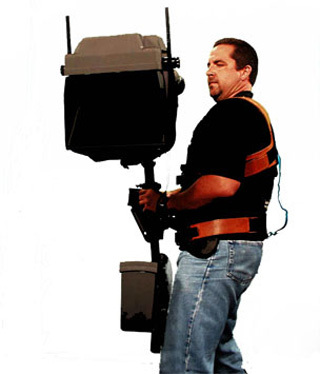 It can be mounted on a tripod, jib or camera stabilization device. Quick set-up and tear down. 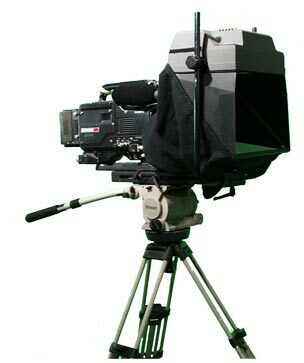 Sliding mounting plate allows instant repositioning of the camera and prompter for perfect balance. • Lightweight - 12.5 pds. • Operates in any lighting conditions. The High Bright setting punches through intense sunlight, while - low bright setting reduces light reflectance during close ups in the studio. • Can be use robotic. • Color screen allows you to accent words in different colors for emphasis or to distinguish between multiple speakers. • 10-pound tripod head capacity required. • Top mounted monitor with glass. 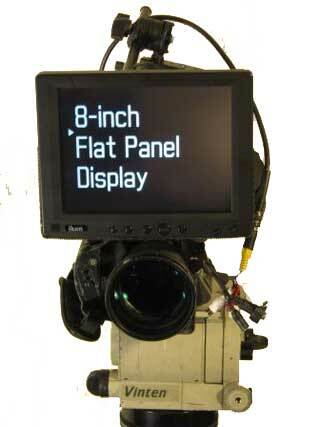 The 15–inch Flat Display Panel is a 15-inch color, active matrix LCD generally used with larger film and video cameras mounted on dollies, pedestals, or heavier tripods. Its weight is 25lbs. It can also be used with smaller cameras in situations where a larger image is desirable because talent has poor vision or must work at greater distances from the camera. 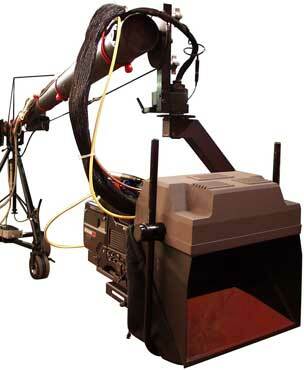 This system operates at 1500 NITS of brightness and can easily be seen outside. 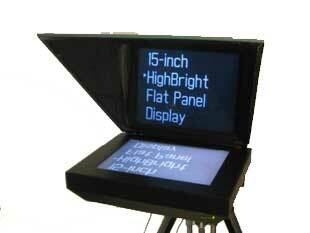 • 15-inch color, active matrix LCD generally used with larger film and video cameras. • Larger image useful for talent with vision impairments or working at greater distances from the camera. 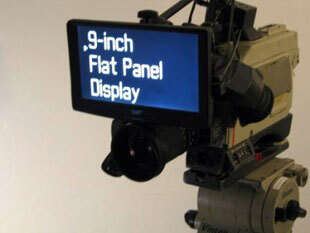 The 8-inch and 9-inch Flat Display Panels mount easily above the lens on any camera with their unique mounting arm. 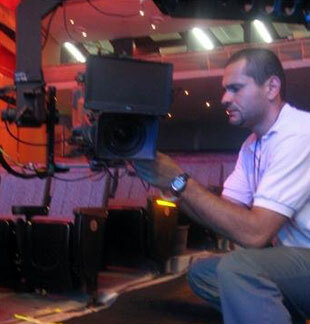 It’s deal for very small cameras, jibs, camera stabilization devices and handheld situations. 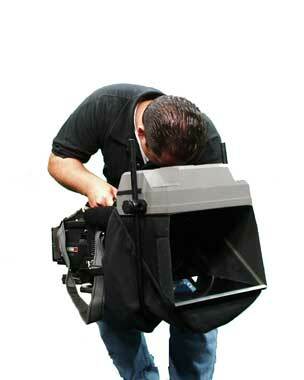 It operates at 1000 NITS of brightness for exterior shots. • Two sizes - 8 or 9- inches. • Mounts easily above the lens on any camera. 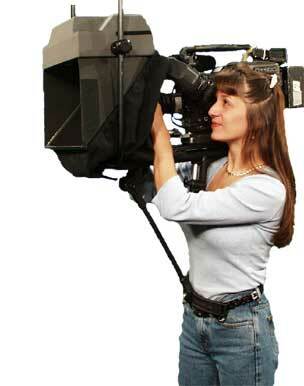 • Ideal for very small cameras, jibs, stabilization devices and handheld. • Operates at 1000 NITS of brightness for easy reading in daylight.